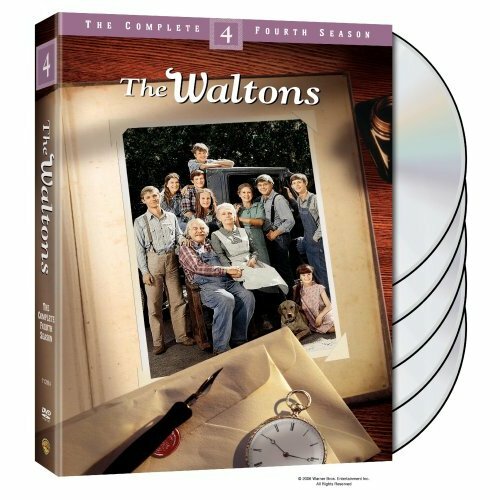 What's NEW with "The Waltons"
The Waltons Six Reunion Movies are available on DVD in one great Collection! CLICK HERE to Order DVD or for More Information. Please visit my Waltons Reunion Movies Web-page, for more details. Thomas was featured on the front page of the Frankfort, Indiana newspaper - The Times. The article focused on Thomas' "Twelve Angry Men" play, as well as, his working relationship and personal friendship with Frankfort's, Will Geer (Grandpa Walton), years ago on The Waltons. Box Office Mojo: Are you working on anything new for television? Earl Hamner: Yes. I have had an idea for a TV series called Foundations, about a family who are fed up with life in Los Angeles. Everyone is threatened. The man owns a nursery and he's held up, his son is subjected to road rage, his wife is threatened at work, his daughter is nearly raped and he says, "to hell with this, I'm going back to Virginia, where my family owns an apple orchard" and there are stones which are the foundations which the family built when they first moved there from England and Scotland. He wants to build a house and a new life. I offered it to CBS and Les Moonves rightfully turned it down. 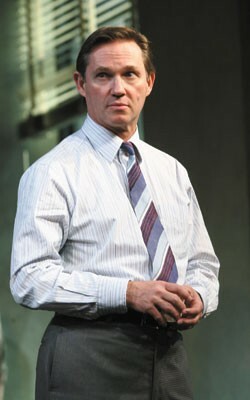 I think he knew that if I were to write it, it would be [like] The Waltons, which would be wrong for now. What it requires is a gritty language, a gritty story, much more realistic to today's writing than I'm capable of because, at 83, I obviously can't write 13-year-old dialog. I told my biographer the story and he said "you've got to write it anyway," and he sent me a script [he had written] the other day and it is wonderful—the language is today, the situations are threatening—it ain't The Waltons. He's written it as a two-hour movie and we're going to offer it to Hallmark. So, I'm not dead yet. Click here to see the wonderful pictures taken by Tom V., July 17th, 2004, at The Waltons Reunion in Hollywood, California. Many of the cast members were able to attend... as you will see from the photos. Thank you Tom for letting me share this link and your joy here with everyone. ... is a wonderful rememberance book of the series. Each page took me back in time and gave me insight to the Hamner family which inspired the series. If you haven't had the joy of reading this, then be sure to get yourself a copy. It's a wonderful Walton Read! With its many photographs-from the show and from the Hamner family-Goodnight John-Boy is a treasure for all loyal Walton fans. Let us all remember the Price of Freedom! THE WALTONS are on TV! The Waltons Homecoming - A Christmas Story was released by Paramount Home Video on September 23rd, 2003. 1 Disc. Premiere Christmas Movie. 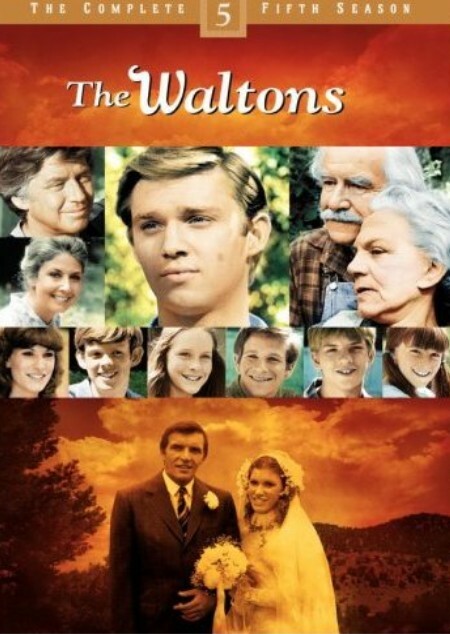 The Waltons First Season was released by Warner Bros. Home Video on May 11th, 2004. 5 Discs. 24 Episodes. 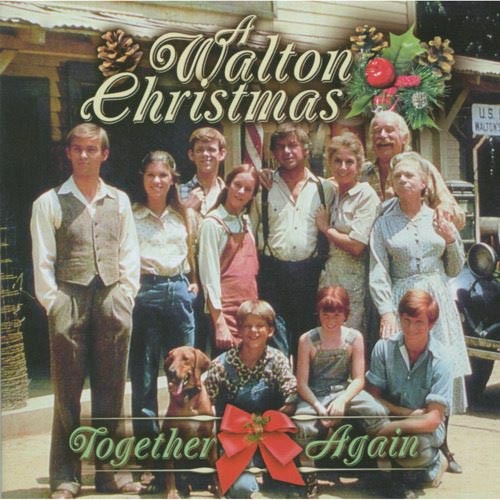 The Waltons Second Season was released by Warner Bros. Home Video on April 26th, 2005. 5 Discs. 24 Episodes, including The Thanksgiving Story. The Waltons Third Season was released by Warner Bros. Home Video on April 25th, 2006. 5 Discs. 25 Episodes. 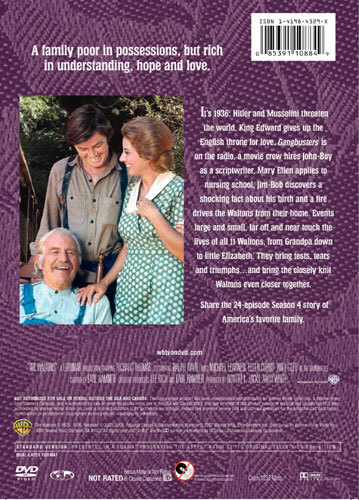 The Waltons Fourth Season was released by Warner Bros. Home Video on January 23rd, 2007. 5 Discs. 25 Episodes. The Waltons Fifth Season was released by Warner Bros. Home Video on May 8, 2007. 5 Discs. 24 Episodes. The Waltons Sixth Season was released by Warner Bros. Home Video on January 8, 2008. 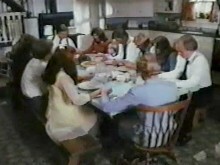 The Waltons Seventh Season was released by Warner Bros. Home Video on April 29, 2008. 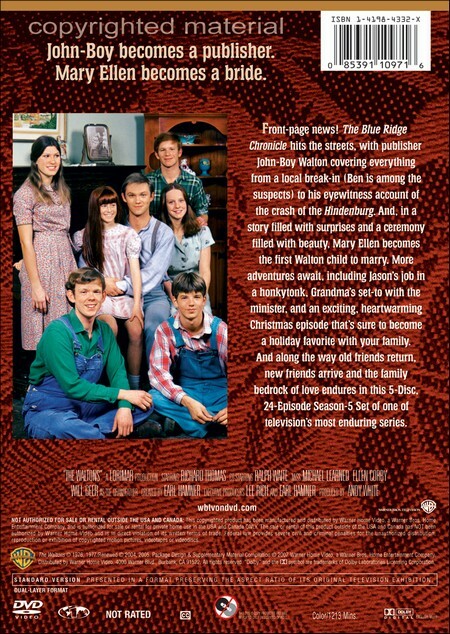 The Waltons Eighth Season was released by Warner Bros. Home Video on April 29, 2008. The Waltons Ninth Season was released by Warner Bros. Home Video on April 28, 2009. The Waltons Movie Collection was released by Warner Bros. Home Video on January 26, 2010.